During the Soviet Unions Great Patriotic War, from 1941 to 1945, as many as 24 million of its citizens died. 14 million were children ages fourteen or younger. And for those who survived, the suffering was far from over. The prewar Stalinist vision of a happy childhood nurtured by a paternal, loving state had given way, out of necessity. What replaced it—the dictate that children be prepared to sacrifice everything, including childhood itself—created a generation all too familiar with deprivation, violence, and death. The experience of these children, and the role of the state in shaping their narrative, are the subject of this book, which fills in a critical but neglected chapter in the Soviet story and in the history of World War II. In Sacrificing Childhood, Julie deGraffenried chronicles the lives of the Soviet wartime children and the uses to which they were put—not just as combatants or workers in factories and collective farms, but also as fodder for propaganda, their plight a proof of the enemys depredations. Not all Soviet children lived through the war in the same way; but in the circumstances of a child in occupied Belarus or in the Leningrad blockade, a young deportee in Siberia or evacuee in Uzbekistan, deGraffenried finds common threads that distinguish the childs experience of war from the adults. The states expectations, however, were the same for all children, as we see here in childrens mass media and literature and the communications of party organizations and institutions, most notably the Young Pioneers, whose relentless wartime activities made them ideal for the purposes of propaganda. 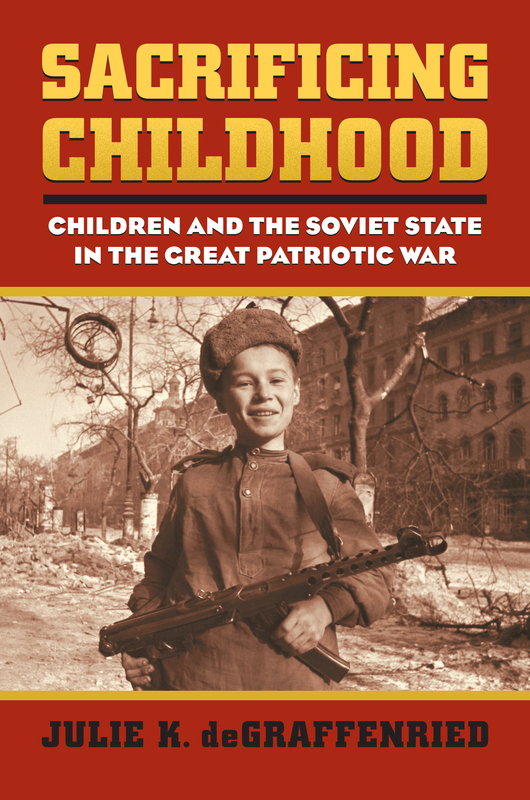 The first in-depth study of where Soviet children fit into the history of the war, Sacrificing Childhood also offers an unprecedented view of the states changing expectations for its children, and how this figured in the nature and direction of post-war Soviet society. Julie K. deGraffenried is assistant professor in the Department of History at Baylor University.